Upsets at the US Open! Roger is out and it’s All American Semifinals for the Ladies! Roger Federer crashed out of the US Open last night. Juan del Potro came out with all guns blazing to spoil the anticipated Nadal-Federer Semifinal party. Well I can agree with what he said in his post-match interview. He had too many misses. Del Potro was not making many errors apart from a few double faults. Del Potro was just the better player last night. His forehands were powerful and aggressive and Federer had no answers for them. He was in the wrong position too many times. Del Potro’s serve was also on point. Federer failed to seize opportunities when the times were right compared to del Potro who did the exact opposite. It mattered most when Federer had FOUR set points to win the 3rd set and he lost them all. That gave del Potro the confidence to win the 4th and the match. The closeness of the match even when Roger played horribly, showed how great he is in this game. Del Potro beat Federer 7-5, 3-6, 7-6 (10-8), 6-4. Del Potro will face World no. 1 Rafael Nadal in the Semis. Nadal knows that if he doesn’t play his best his chances are low versus del Potro who is currently at the top of his game. Who’s in the other Men’s Semifinal? Kyle Anderson (28) spoiled the USA party and upset Sam Querrey (17) in 4 sets. Spectacular match. He will face Pablo Carreño Busta (12) tomorrow. Who’s left in it for the Ladies?! For the 1st time in 36 years there will be All American Semifinals for the Ladies! The Semifinal action will be on today. I think they’re all going for it and it’s anyone’s game. Everyone will have to play their best tennis to have a chance to win. 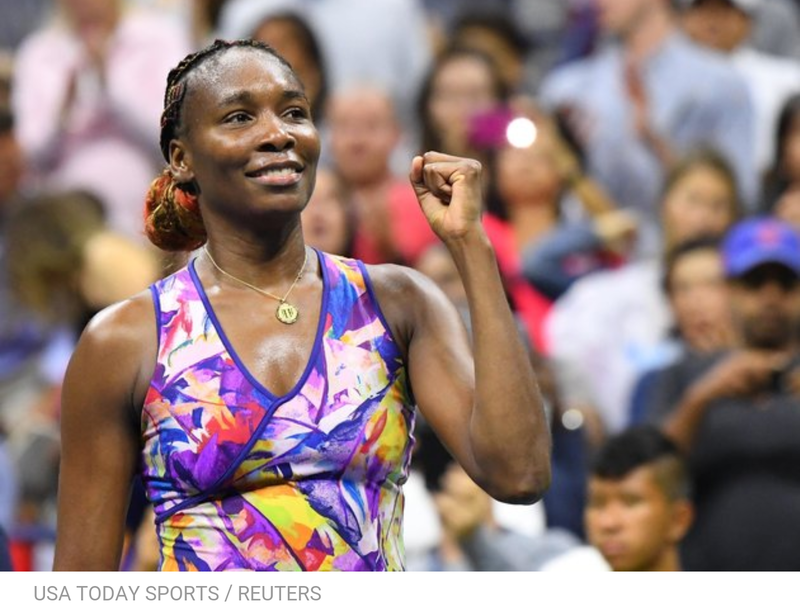 Venus Williams will play Sloane Stephens. Of course I give Venus the edge but Venus will need to improve her serve based on how she has been playing this tournament and will have to keep moving well. Then you have Coco versus Keys. That should be a cracker. Both ladies have been playing extremely well. Even though Keys has a higher ranking, I give the edge to Coco if she keeps her emotions in check. Note that Coco also took out World no. 1 Karolina Pliskova in straight sets in the QF, 7-6, 6-3. US Open Update, how Serena can lose #1 ranking and more! 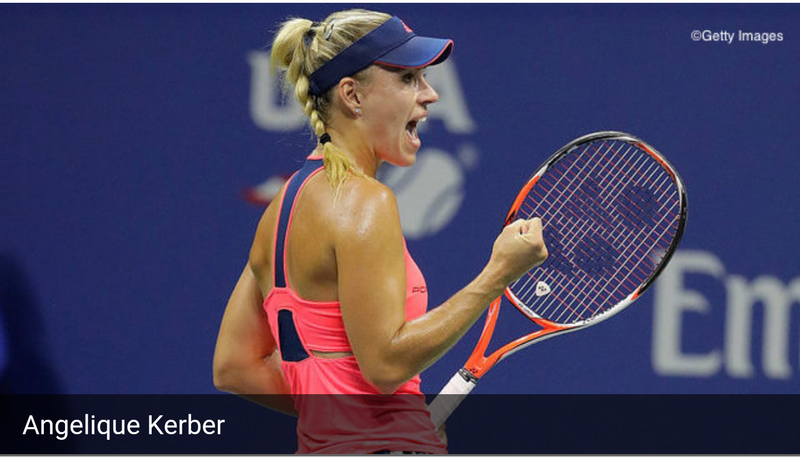 Germany’s Angelique Kerber has a chance to knock Serena Williams from the top of the tennis rankings. Serena will not only need to reach the US Open Finals to remain at #1, but if she meets Kerber she will also have to beat her. 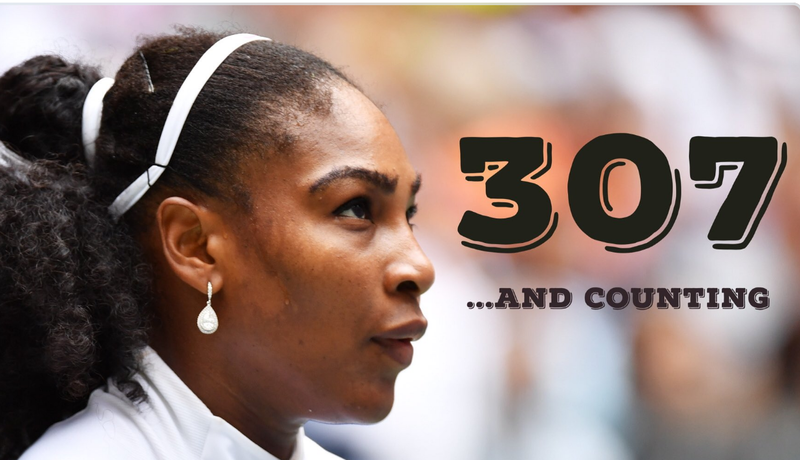 If Serena wins the US Open she would not only pass the monumental 22 Grand Slam title wins, but also be tied with Steffi Graf for the longest stay at #1 (186 weeks). Currently, Serena surpassed Martina Navratilova for the most Grand Slam match wins and is now equal with Roger Federer’s mark for the men. Amazing. If Aga Radwanska wins the Open she can also be #1. If Serena continues to win as well as her sister, Venus, they are on a collision course to meet in the Semi-Final. Can Serena come out on top this time around with all of the pressure mounted against her again? Roberta Vince who pulled off what was considered to be the biggest upset in Sports last year, beating Serena in the Semi-Final of the US Open is through to the Quarterfinals (QF) on the other side of the draw from Serena. She has dropped just 1 set so far in the tournament. She could meet Kerber on her side of the draw who is also through to the QF after beating Kvitova. Upsets so far for the Ladies? Caroline Wozniaki just upset Madison Keys (#8) in straight sets. World #3, French Open 2016 winner, Muguruza was sent home in Round 2. Defending Champ, Lepchenko was defeated in Round 3. Matches to be played today for the Ladies? Simona Halep (#5), Radwanska (#4), Serena (#1) and Venus (#6), should be playing their Round 4 matches today. What’s happening with the Men? Novak Djokovic is through easily to the Quarterfinals, as well as Tsonga and Monfils. Andy Murray, Wawrinka, Nishikori and Juan Martín del Potro should know their fate for the Quarterfinals today. Juan Martìn del Potro is one to watch as he seems to be making quite a comeback. Rafael Nadal was defeated by Lucas Pouille in 5 sets and has failed to reach the Quarterfinals for the 3rd straight year. Wimbledon 2016 Finalist, Milos Raonic was out from the 2nd round. Veteran John McEnroe is no longer his Coach after Wimbledon possibly because of a conflict of interest since McEnroe is a commentator on ESPN. Looks like the change hurt him. Juan del Potro beat David Ferrer (#11) in the 3rd round.